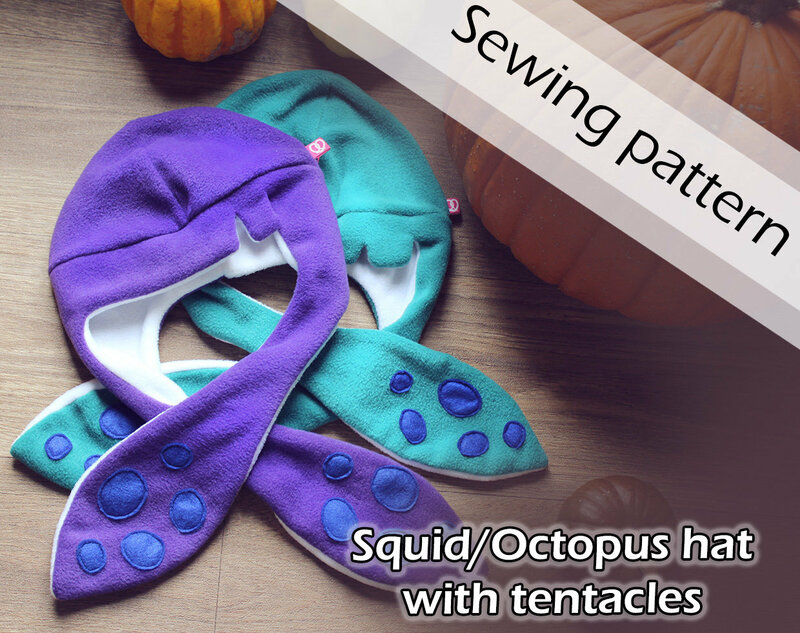 Want to make your very own squid hat with tentacles? Then you can use this printable pattern! If you are looking for a fun DIY project, or still need a last minute gift for a friend or family member, then this is the solution! You can now make your own fleece hat, inspired by the Pretzl hats! If you buy this PDF, you can immediatly download it and print it to make your own fleece hat. The pattern is in a adult size. It also fits kids from 5 years old or older. If you print the pattern, make sure to choose the correct paper size (A4 or letter). Check your printer to know for sure.